Rowan McDonald, one of K&L Gates’ top corporate and transactional partners in Sydney, tells Australasian Lawyer about the best advice he’s ever received and the single biggest issue facing the legal space this year. After completing my first degree I joined the Australian Securities Exchange. During my time in the Listings Department I decided that I would ultimately prefer to be advising the companies seeking to list their securities on ASX than regulating the markets. I had really enjoyed the legal subjects I studied as part of my Economics degree so with the support of ASX I completed a law degree part time at UTS. Once I completed my studies I joined a top tier Australian legal firm that I had worked with during my time at ASX. How long have you worked at K&L Gates, and what brought you to that position? I recently clocked up 11 years with K&L Gates and its predecessor law firms here in Sydney. 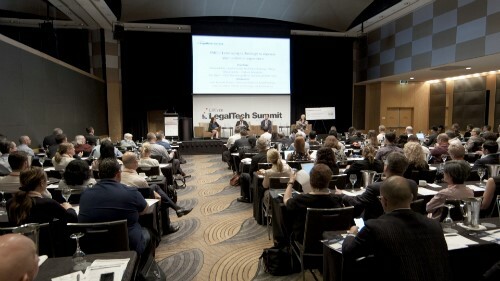 Immediately before I joined the law firm which became legacy Middletons I was a senior lawyer looking for partnership at a time when the market for corporate legal work was drying up due to what became known as the "techwreck". An opportunity arose to join a small vibrant corporate law firm and to assist in building a corporate advisory practice. That firm ultimately merged with legacy Middletons which then merged with K&L Gates and the rest is history. Being a corporate lawyer, rather than being strange, the matters I work on tend to fall along a spectrum which ranges from relatively straight forward at one end and extremely complex and often multijurisdictional at the other. I derive immense satisfaction from seeing a complex and technical transaction through to successful completion and depending on the hours kept during the transaction sometimes a sense of relief when it is all done! I would invite Xi Jinping, Barack Obama and Shinzo Abe. As China moves towards economic superpower status I am interested to know how each of these leaders see the relationships between their respective countries developing over the next 5 to 10 years. I might need to promise to bring out the Grange to seal that deal! My favourite place to wind down over a cheeky glass of wine or 2 and some tapas is Tapavino which is located in Bulletin Place. Closely followed by Palmer & Co in Abercrombie Lane. Make a career of something you truly enjoy and success will follow. My 6 year old son and I are both Life Members of the NSW Waratahs Rugby Club and attend as many home games as possible. I also hold the honorary roles of President and Chairman of the Board of Directors of Assistance Dogs Australia. ADA is a national organisation that seeks to provide freedom and independence to people with physical disabilities. I try to devote as much time as possible to this work but never feel it is enough. A builder! One of the things I really enjoy about being a corporate lawyer is helping people realise their aspirations to build successful businesses and being part of that journey as a trusted advisor. If I wasn't helping clients build businesses I think I would like to help people build interesting structures. In an age in which you can seemingly Google the answer to pretty much any question our challenge as lawyers is to ensure our clients continue see the value in seeking advice from experienced and skilled professionals. As unlikely as that prospect is, if I was given the opportunity I would like to encourage the implementation of a national annual day of community service. That each day is full of unexpected challenges and that I have the opportunity to work with truly clever people to devise innovative legal solutions to our clients' day to day legal problems. Other than swapping my office for a white sandy beach …I am quite happy to not change a thing.